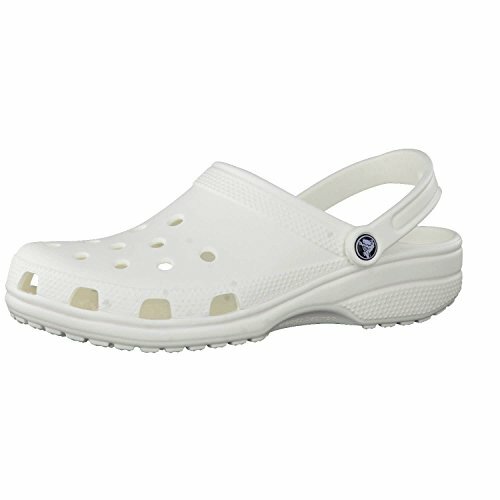 Crocs Classic Clog White Men's 9 Women's 11 | What Should I Say? New sizes! Black, chocolate, khaki and navy are now available in extended sizes up to men's 17. Slip into your favorite clog and enjoy a custom fit, water-friendly design and ventilated forefoot for breathability. Fully molded Croslite material for signature Crocs comfort.